We have hundreds of products to choose from and with our delivery and installation service we take care of it all. Making your backyard dream come true! Since 1998, our family owned and operated company has been providing excellent quality in sheds, swing-sets, gazebos, and other structures to build the backyard of your dreams. 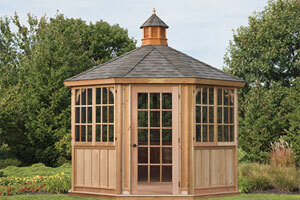 We offer exceptional and superior products and advice to help you decide on the perfect backyard structures. Count on our expert team for site surveys, on-site construction of your structure, site preparation, and old shed removal. We offer a free delivery within 25 miles of our Schuylkill County, Northampton County, Carbon County, and Lehigh Valley locations. 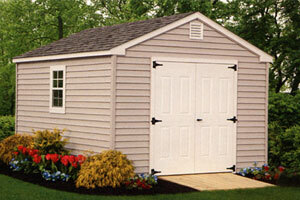 Large selection of quality built sheds and garages in many sizes. 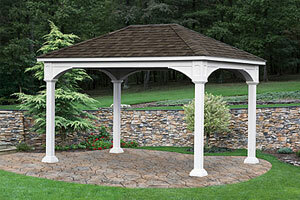 Transform your backyard into an oasis with a vinyl or wooden gazebo. 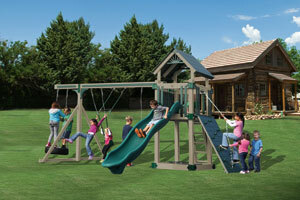 Bring the playground to your backyard with our outdoor swing sets. Add a touch of beauty to your garden with our quality built pergolas. 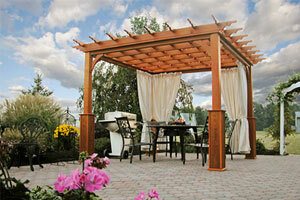 Entertain family or friends with an elegant pavilion for your backyard. Our outdoor sheds, gazebos, swing sets, pergolas and pavilions are all built to last so that you can enjoy your backyard or garden structure for many years to come. Find a location close to home and we'll help you pick out the perfect structure to fit your needs!